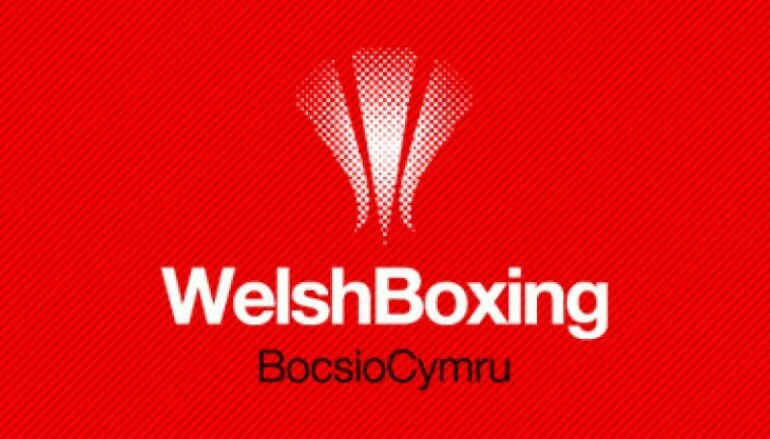 Pontypool Boxing Club hosted a ten bout show at the Trevethin Working-men’s club on Friday 15 April and it was headlined by Welsh international Kieran Gething. Pontypool’s Gething stepped up to middleweight (75KG) and shared top of the bill with current England Central Area champion River Wilson-Bent, over three keenly contested rounds. The opening minute provided a clear insight into the skills that would be on offer for the duration of the contest. The taller Wilson-Bent was happy to keep his hands relatively low and use his superior height and reach advantage to good effect. That said, Gething enjoyed his fair share of success with straight combinations. Wilson-Bent started the second seemingly happy to entice Gething into range with his hands held low. 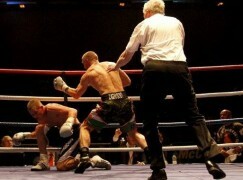 Gething was able to pin the Englishman in the home corner and keenly threw neat punches with both hands. Wilson-Bent kept his composure and was able to move away with no real damage caused. During the final round Wilson-Bent upped his work-rate and scored with some accurate upper-cuts. Unperturbed, Gething landed with a well-timed left hook. Both boxers finished strongly, but it was the crisp, jab – right hand combinations and fluid style that secured Wilson-Bent a well-deserved split decision victory and with it the award for ‘Boxer of the Night’. Pontypool’s well supported Allin Scammell has traded in his rugby boots for boxing gloves and took on another debutant in the impressive shape of Park-Knowle’s (Bristol) Scott De-Palma at super-heavyweight (91KG). With well over 30 stone of muscle in the ring, there was always a chance of a stoppage and from the first bell it was apparent that Scammell had every intention of finishing matters early. 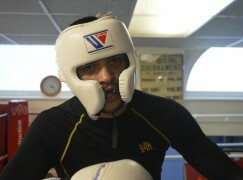 However, he had to settle for a loss, via Unanimous Decision to the visitor from across the Severn. The first round was a scrappy affair. Scammell was intent on landing with his right hand and his sheer momentum caused him to fall into the taller De-Palma. During the second round De-Palma was able to get his jab going and by the end of the round had found success, particularly when he followed it up with a straight right hand. The final round saw both boxers tire. Scammell landed a huge right hand that demonstrated that De-Palma has something of an iron-chin. But, the Bristolian had worked out that if he used the jab that his longer reach afforded him, he could control matters and keep the home-town favourite at bay. An earlier super-heavyweight contest saw Port-Talbot Bulldogs hefty Daniel Culler, take on Pantside’s equally as hefty Jamie Curtis in an entertaining and well matched bout over three two minute rounds. Curtis was awarded a unanimous decision, the judges preferring his output and work to the body to the none too shabby defensive skills and often neat counter punching of the taller Culler. At 81KG, Gavin Jones of Pontypool emerged as a split-decision winner over Exhall’s Rhys Constable-Williams. After a fairly even opening round, Jones just about had the edge in a competitive second and during a frenetic final stanza was able to land more frequently than game light-heavyweight Constable-Williams. The impressively named Wang Badman of Pontypool took on tall Danny Tinklin of Pantside at 62KG. Tinklin showcased some fast hands in the opener as the shorter, muscular Badman seemed to load up on every punch he threw. Badman did find success in the second with some ferocious body work and landed with a peach of a right hand in the third round before being countered with a jolting right from Tinklin which forced a standing count. A well timed left hook forced another standing count and Tinklin was awarded the victory by way of a Unanimous Decision. 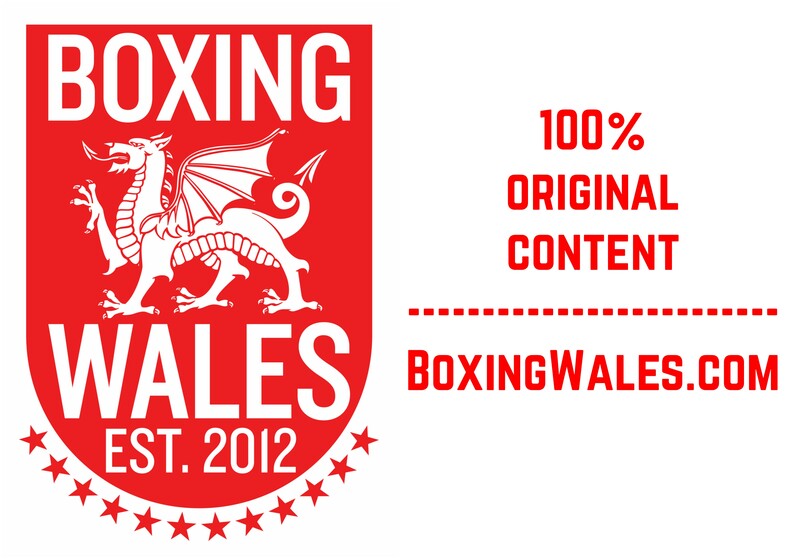 At 75KG, Pontypool’s southpaw Lewis Brookes lost out to Llanedeyn and Pentwyn’s Lewis Roberts, who enjoyed success by countering Brookes’ jab with an accurate jab of his own, often doubled up to ensure he was awarded a Unanimous Decision. Heads of the Valleys’ Tom Davies lost out to Pantside’s Jake Tinklin in a watchable contest made at 67KG. Davies is a ‘take one to give one’ type boxer and whilst he was able to have some success to the long body of Tinklin, the taller man gradually wore him down, dropping him with an uppercut in the second. 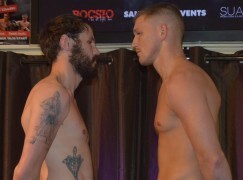 Davies rallied in the final round and landed with some meaty hooks to the head of Tinklin, but the Pantiside man, trained by former world champion Gavin Rees, reverted to his effective, piston like jab to ensure he took the Unanimous Decision. Ethan Bull (Pantside) stopped Bargoed’s Declan Thomson towards the end of the opening stanza. After a fast start by both boxers and having landed a decent shot of his own, Thomson was caught with a sublime two punch counter attack and was badly wobbled, causing the referee to stop the contest. A long journey south for Maes G’s Harvey Williams was rewarded with a Unanimous Decision over Pontypool’s Kieron James in a schoolboy bout. In a reversal of fortune for the schoolboy brothers, Evan James enjoyed a good win over Maes G’s Kevin Creed. Both boxers showcased skill, heart and a desire to win in an exciting contest over three rounds. Owen Harris (Llanderyn and Pentwyn) and Alex Harris of Heads of the Valleys also took part in an exhibition bout.